Thermatech Northwest has vast experience in demolition services including interior demolition, selective demolition, and structural demolition for residential as well as commercial properties in Puget Sound. Our technicians are well trained, qualified and certified to undertake all types of demolition in your home or business, with an ultimate concern for both customer and employee safety. We pay special attention to our client’s demolition needs so that work is performed seamlessly and without interruption to daily operations. Our expert crews carefully perform all demolition tasks especially projects that require stringent controls on dust, noise and environmental decontamination. Our turnkey approach to demolition contracting allows us to combine demolition and environmental decontamination services to deliver an affordable and efficient, one stop solution to our customers. We have successfully completed abatement and demolition projects in the greater Seattle and Tacoma region within all types of buildings including residences, high-rises, commercial and governmental offices, retail stores, military bases, hospitals, schools, manufacturing facilities, and industrial plants. Protecting air quality while interior demolition is underway is highly regulated and important for the health of everyone. Thermatech Northwest’s knowledge of dust mitigation and regulatory codes is essential in these situations. We have the training to install containment barriers on the demolition job site. Our goal during interior demolition is to contain dust and debris for the health and safety of all work site occupants. We perform a complete range of selective demolition services from the select removal of specific items from your structure to the complete gut-out of an entire building. Our selective demolition contracting includes cutting and removing portions of slabs and walls, demolition and removal of canopies and mezzanines, hand separation, demolition and removal of sensitive portions of a remaining structure. We have experience in carefully preserving valuable elements of building components, specifically for re-use, recycling, or waste management. Thermatech Northwest provides structural demolition services for residential, commercial and industrial customers in all of Western Washington, Seattle, and Tacoma. Our trained crews assess and prepare each structural demolition job with great concern for safety, environmental compliance, and schedule. With over 19 years of structural demolition and dismantling experience, we have completed numerous demolition projects. Thermatech Northwest is a leader in the greater Seattle and Tacoma area for interior demolition. Since 1996 we have completed thousands of interior demolition projects for residential, commercial, industrial, institutional, military, government, and schools. Our experienced workforce uses up to date tools and protocols to successfully deliver a range of interior demolition projects. We focus on safety and client satisfaction on each job which has earned us high praise from general contractors, developers, and private individuals. Thermatech Northwest specializes in floor covering removal and concrete surface preparation services. We utilize the newest and most powerful flooring removal equipment available in Seattle and Tacoma. 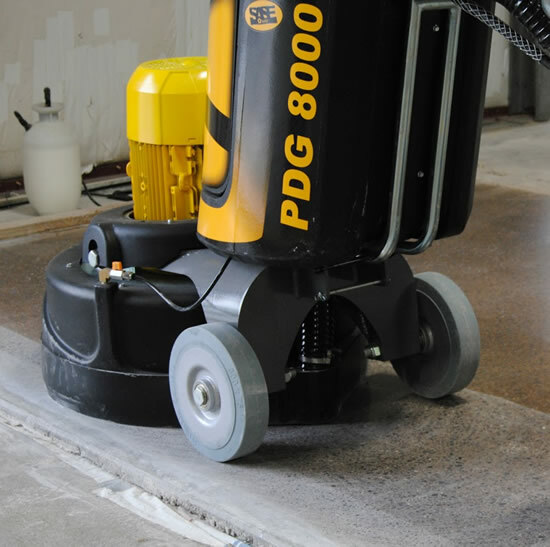 Operated by trained technicians our TERMINATOR ride-on floor preparation equipment has the power to get the job done at a fraction of the time and expense associated with conventional methods. We can remove carpet and carpet tile, linoleum and floor tile, epoxy coatings, hardwood, stone, and ceramic flooring. All floor covering removal and preparation includes proper collection and bagging for offsite disposal.